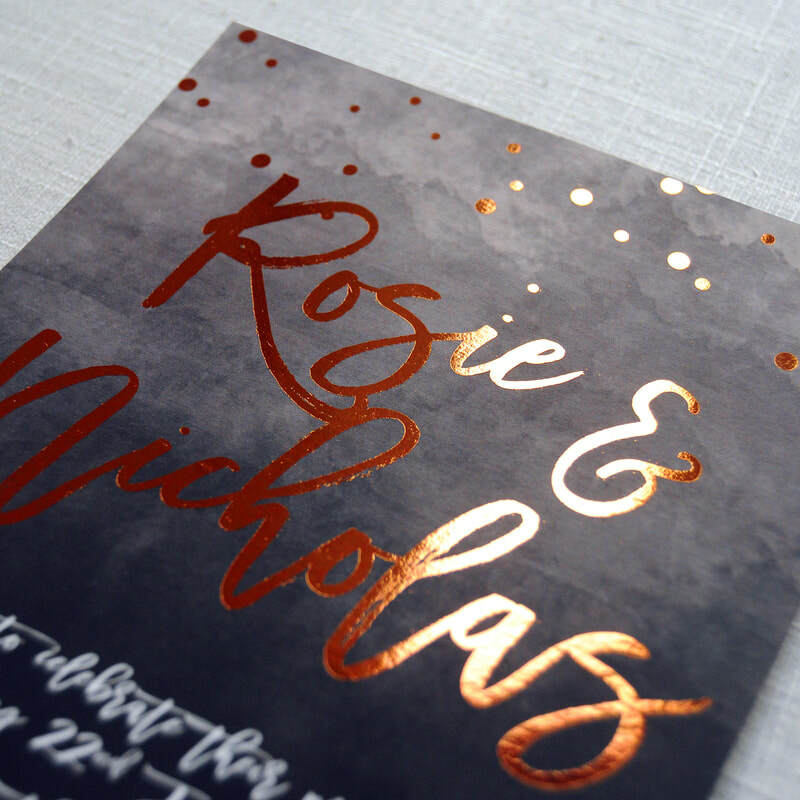 Luxurious foil pressed wedding invitations inspired by the cosmos. 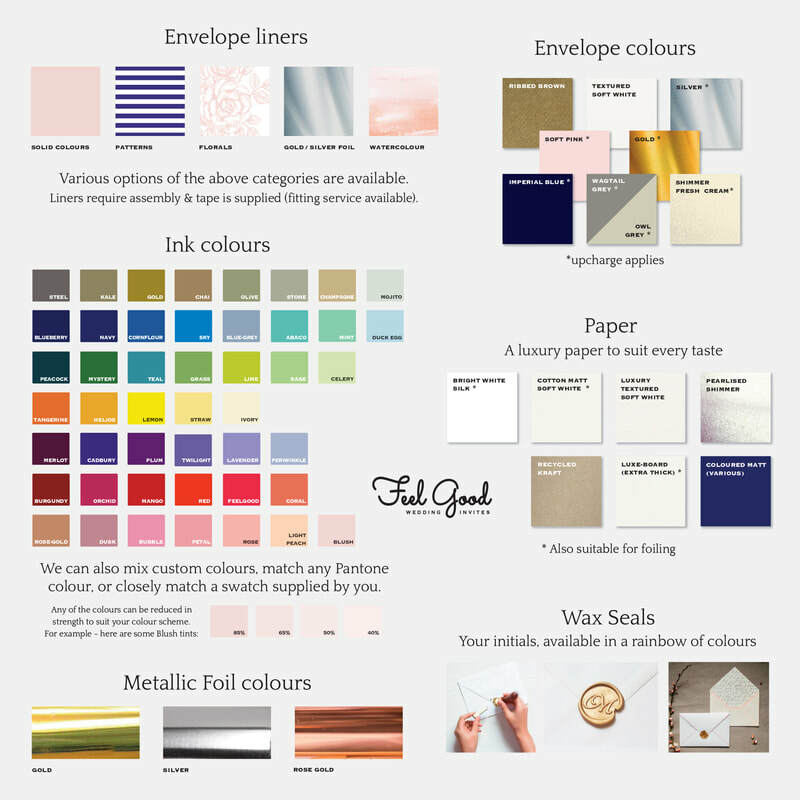 This spectacular design will wow your guests. 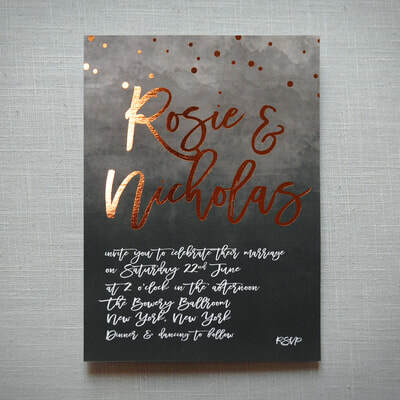 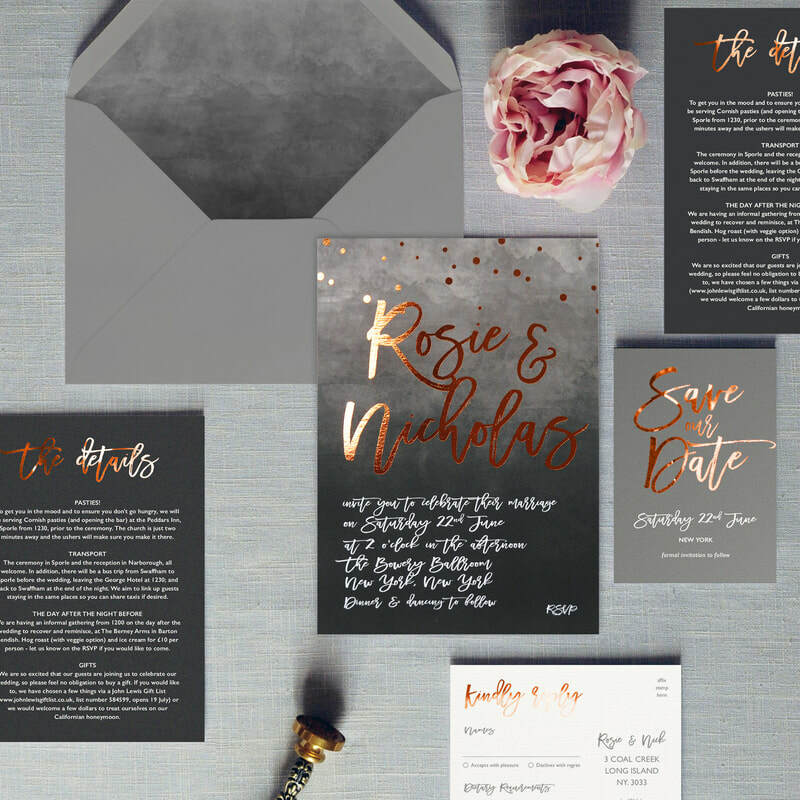 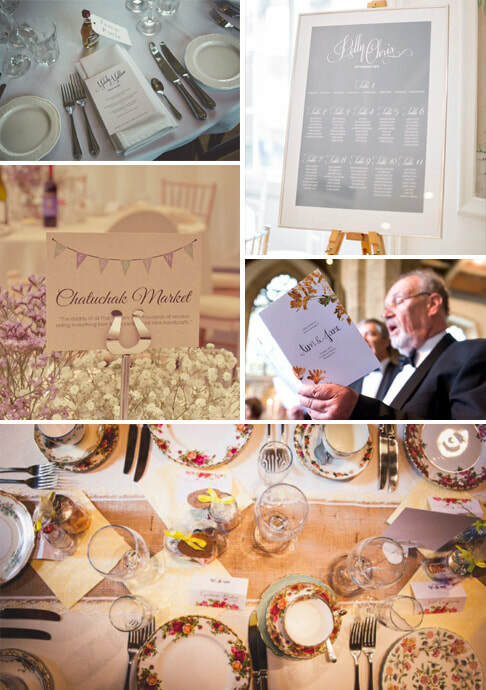 Dramatic wedding invitations featuring a bold 'hot-foiled' brush script and moody watercolour grey backdrop.